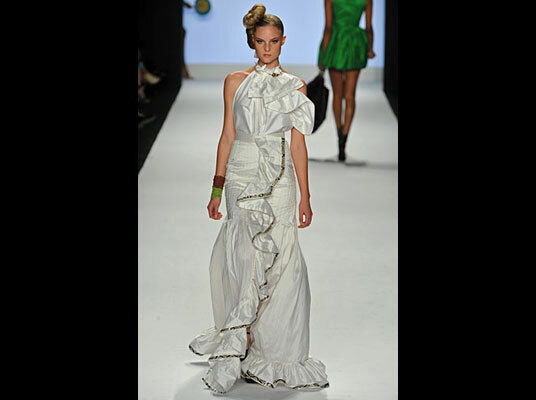 Korto Momolu, my favorite contestant ever to grace Bravo’s, Project Runway. In my opinion she was robbed and came in 2nd place. I wasn’t a judge but I’m sure many of you would agree she should have won. 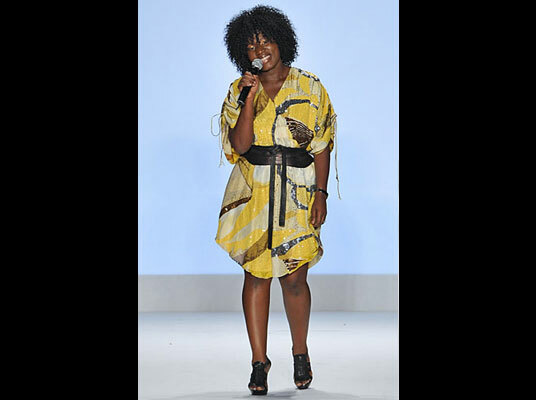 Born in Liberia, West Africa this curvy diva designs clothes rich in color and style. Inspired by the threads of her native land, she designs masterpieces that make anyone look like a goddess! She is finally getting the exposure she deserves as she has one creation after another burning up the runways!! Flowing fabrics and radiant colors, she isn’t afraid to dip her models in perfectly crafted colorful threads. I love her!! You can purchase pieces from her jewelry line in Dillards. Fashion designer and stylist Korto Momolu is a proud mother, wife and now also known as the fan favorite and 2nd runner-up of Bravo tv’s hit reality show Project runway season 5. 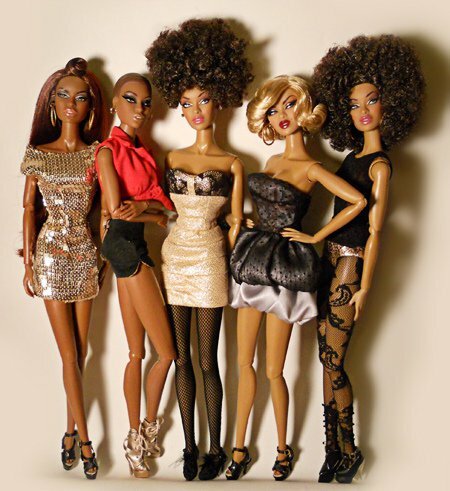 Do you recognize all the ladies from ANTM??? 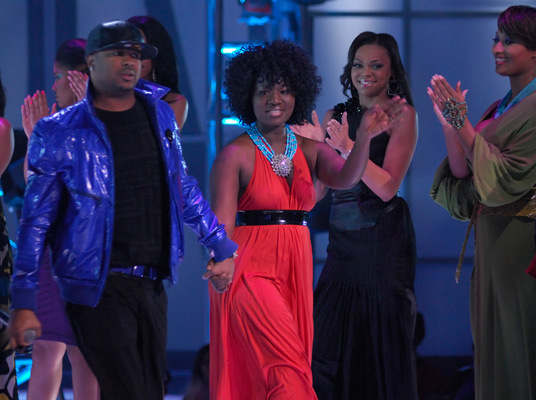 Toccara is Rip’n the Runway! Another Curvy beauty making her mark!! Most recently, Korto Momolu created a collection of designs in honor of President Barack Obama’s Inauguration and entitled it “The Korto Momolu Yes We Can Inaugural Collection,” which was unveiled at the International Inaugural Ball in Washington, DC. Name three things every woman should have in her closet. Get a great bag, a great pair of shoes and a great accessory piece, like jewelry or a denim jacket. Just something you can wear with everything. Ladies love to shop. Do you have simple tips to stay on budget? Buy clothes that you can wear all season. I’m doing my collections now where you can wear them all year round. In this economy you can’t really afford to put your summer clothes away and get winter. Buy layers so you can layer up in the winter time and take them off in the summer. By adding and taking off, mixing and matching, you’ll create different looks with the same pieces. Look for neutral colors or just hot colors that don’t follow any special trend, so that way you can wear your purchases longer. You’ll get your money’s worth. What’s the best advice you can give to aspiring designers? Find what you love. I make what I love. All my pieces I would wear. Make what you feel there is a need for. If just you follow what this person has and that person has, then you’re going to be just like them – the same thing with a different label. 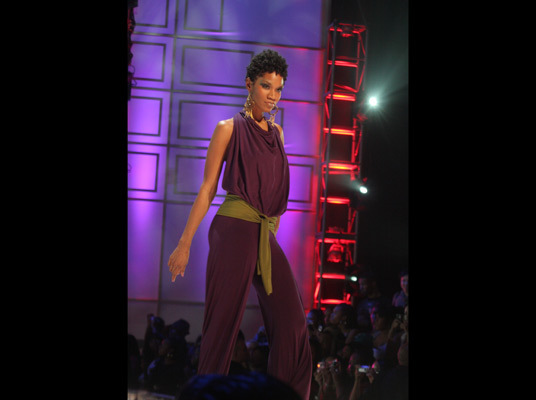 In Rip the Runway my stuff will standout because it’s not going to be like anybody else. My stuff is different. I just go out there and give me and I hope people can appreciate that. Oooh, some of her fashions are REAL nice! I love that winter white pantsuit – sharp!